Home to the largest traditional fairground in Britain, steam railways, farm and Listed woodland gardens, Hollycombe has something for all ages to enjoy. 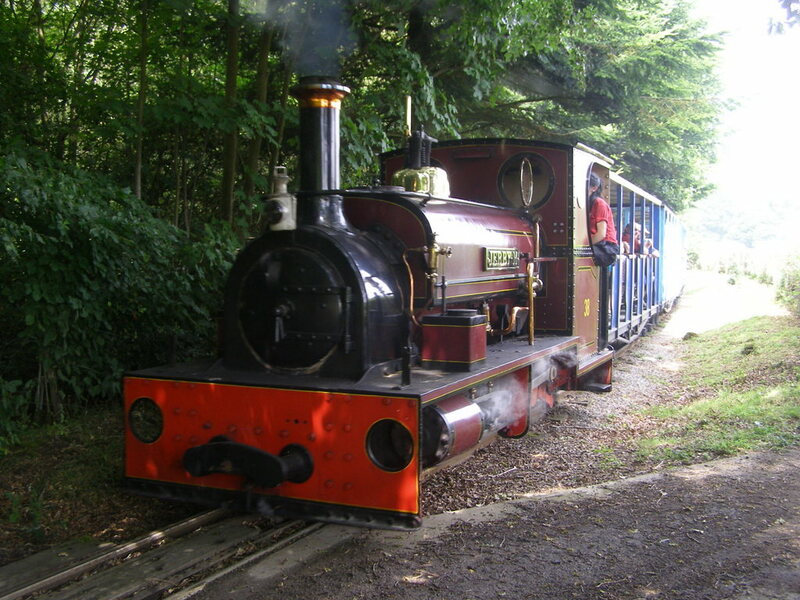 The narrow gauge Quarry Railway, is a 2 foot gauge steam railway running for approximately 1.5 miles through woodland and fields. The journey starts at the station by the visitor centre, and travels through pretty woodland until it reaches the old sandstone quarry. After a pause to take in the spectacular views across the Sussex Weald, the journey continues through woodland and alongside fields, where horses often graze. The railway has two steam and one diesel locomotives. Even the passenger carriages are historic, coming from the long closed Ramsgate Electric Tunnel Railway. One of the carriages has a wheelchair compartment, and a ramp is available at the station. 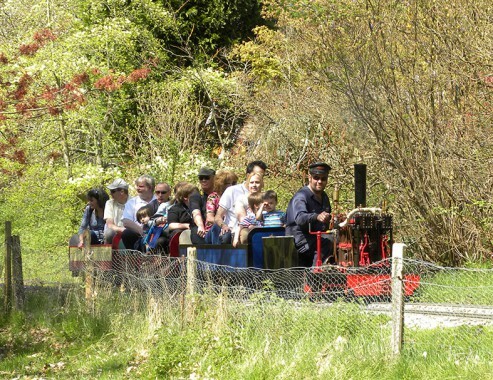 The miniature steam Garden Railway is always popular with our visitors. Although originally aimed at the children, it seems that the adults find it just as attractive! The railway is a continuous loop of about one third of a mile and the tracks are set at 7.25 inch gauge. You will be amazed by the power of the tiny locomotives as they haul both adults and children around the scenic route. The station is located beyond the end of the fairground, near the sawmill. Trains pass between the fairground and the Woodland Gardens, around a loop near the Gallopers, and back past the engine shed to the station. The journey takes about five minutes. The miniature railway is supported by members of the Liphook Modellers Club who have a clubhouse at Hollycombe.